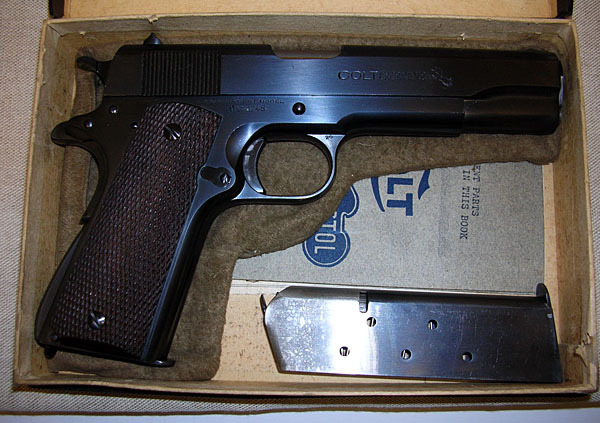 Colt Government Model 1911A1 serial number C156745 - Colt Government Model from 1930 in the original shipping box with instructions. The frame is marked 'G', the barrel has the large 'K' stamp in front of the lug, possibly indicating that these are parts from the 1924 Government contract. The slide is numbered to the frame and has "A' stamped in a slide channel. 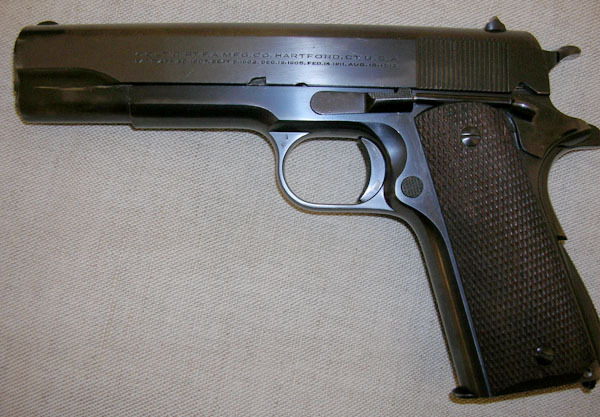 The letter 'I' is stamped on the upper left of the left side of the trigger bow and the number 20 is stamped on the foreword upper right of the right side of the trigger bow. Inside of original shipping box with instructions and special instructions. Instructions have typed note on front "Prices of component parts listed on page 4 in this book are obsolete." 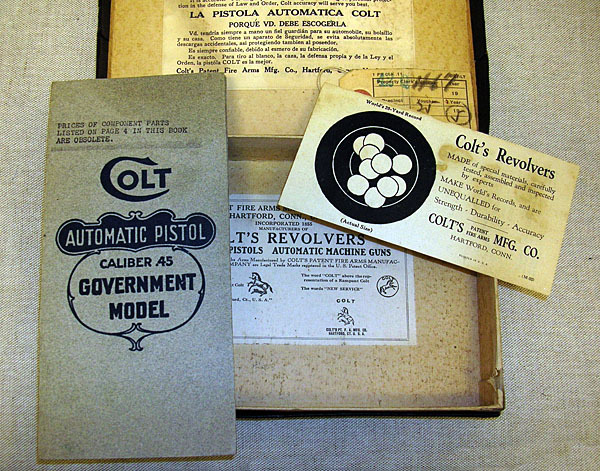 "Colt Automatic Pistol .45 Rimless Smokeless" and "Government Model" end labels of box.